A noisy garage door will not only be a hassle to you but possibly your neighbours too. Beyond this, it may be a sign that things aren’t running as smoothly as they should be. It makes sense to take a closer look at the potential causes of the problem. By doing this, you can prevent a small noise issue escalating into a costly repair or replacement job. 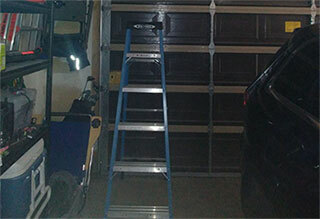 The first and foremost cause of a noisy garage door is a lack of lubrication. Once you have inspected your door and highlighted this problem, it’s time to get oiling! All you need to do is apply a small amount of lubricant to the door springs along with any other moving parts. Next, open and close the garage door a few times. If the door is no longer noisy, you’ve successfully solved the problem. Lack of lubrication isn’t the only cause of a noisy garage door. It may be a case of a bolt or screw working loose, a fault with the opener’s motor, or even an accumulation of dust/dirt on the tracks. Alternatively, your problem may be more serious and require professional attention – it could be that your springs are so worn that they're beyond repair and need to be replaced. Your system comes with a number of moving parts, it's not always a great idea to go it alone when it comes to maintenance and repair issues like this. Could A Replacement Save You Money? Your garage is subject to a lot of wear and tear while in regular use, and won’t last forever. If your door is considerably old and it's been many years since you've updated it, there may be a problem with a number of parts and therefore more cost effective to upgrade the system once and form. A replacement may save you more money in the long run. While you may be more than capable of carrying out minor repairs and maintenance for safety’s sake, we highly recommend you leave any major repairs to our skilled technicians at Garage Door Repair McDonough, GA. No matter how large or small, we can fix all of your problems, quickly and effectively - it's not worth risking harm to yourself or your property!